Hey everyone! Today I am participating in the Scrap Your Stash Blog Hop! You should be joining me from Majken's Blog! Welcome! 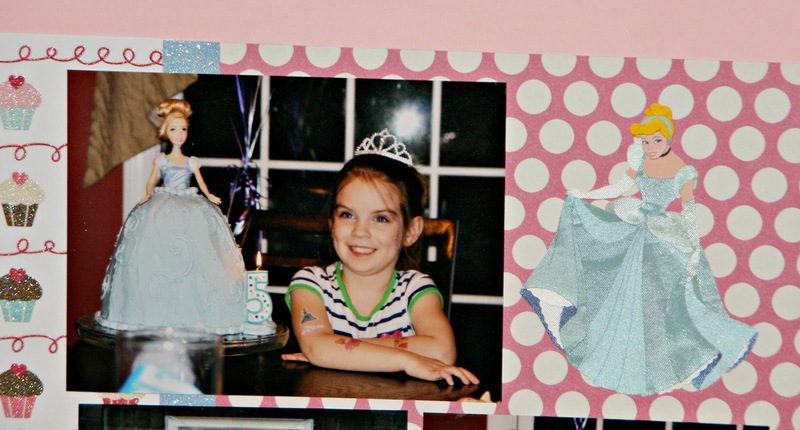 A few weekends ago, I scrapbooked with a friend of mine and I decided to get all caught up on the birthday layouts of my kiddos! 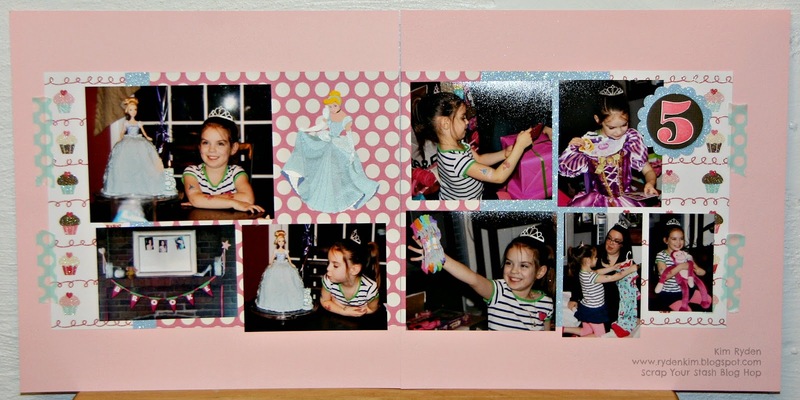 My daughter is almost 6 and just am all caught up on her Birthday Scrapbook! YAY! 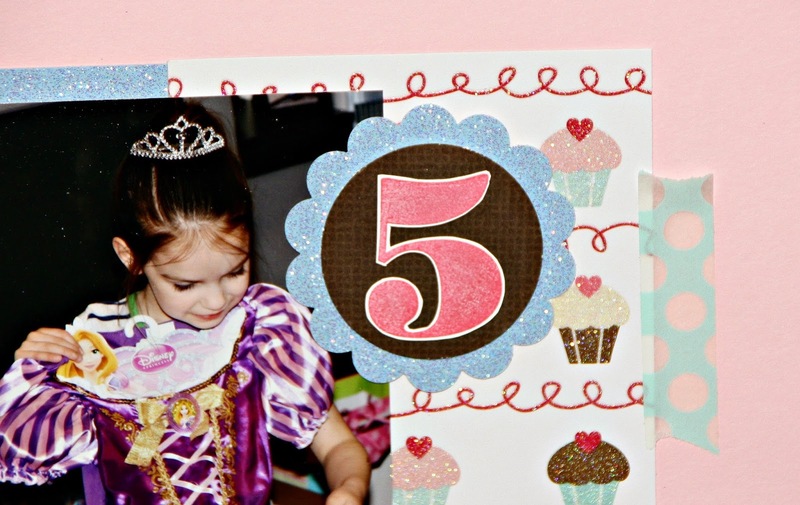 I love this little embellishment and the washi tape! I think I get bonus points for this layout! I actually am scraping someone else's stash with this Cinderella embellishment! I took this off of someone else's hands a while ago and I finally used it! Now don't forget to head on to the next blog in the hop. When you are done here you are headed back to the top to see Cathy's Blog! So have fun and leave some love along the way! Love how the doll is repeated in paper. Beautiful layout. Kim, your layout is so adorable I love the colors!!! ahhhh what a great two pagers and cute pics!! LOVE the added washi tape!! Super cute, great 2 pager! There's nothing quite like little girls and princesses. Your layout is wonderful. Love this double page!! The colors are beautiful and your daughter is so cute!